In my previous column I emphasized the need for any political party, if it were to be successful, to name its candidate well ahead of time. However, I do repeat my argument so that its appeal to the reader is surpassed by its urgency to the one leader who has shown some remarkable ability to keep ahead of his followers by avoiding doing just that. The need to retain the leadership of the United National Party (UNP) seems to play an integral part in the political calculus of Ranil Wickremesinghe. On last two occasions, 2009 and 2015, Ranil displayed that inner craving. In 2009 he opted for Sarath Fonseka, a total outsider not only to the UNP but to politics altogether, while in 2015 he chose Maithripala Sirisena a one-time UNP hater from Polonnaruwa, which was a UNP bastion during the golden era of the UNP-rule, when the lucrative benefits of the Mahaweli Programs were flowing to that ancient land. On both those occasions, if his judgment was not to nominate himself, Ranil could have effortlessly nominated a second-tier UNPer for the Presidential race. Either Karu Jayasuriya or a younger candidate such as Sajith Premadasa may have had a fighting chance to win the election. In 2009, Karu Jayasuriya was the assured choice the UNP would have fielded, but in 2015 the context was quite different. The trio of Ranil-Chandrika-Venerable Sobitha came into the scene and selected Maithripala Sirisena, who by that time had realized that the horrendous rule of the Rajapaksas had to be defeated. In the aftermath of both these elections, the rank and file of the UNP did not have to say anything remotely close to complementary towards Ranil Wickremesinghe. The number of traditional UNP supporters who did not go to the polling booth was more than sufficient to defeat the opponent had they opted to vote! 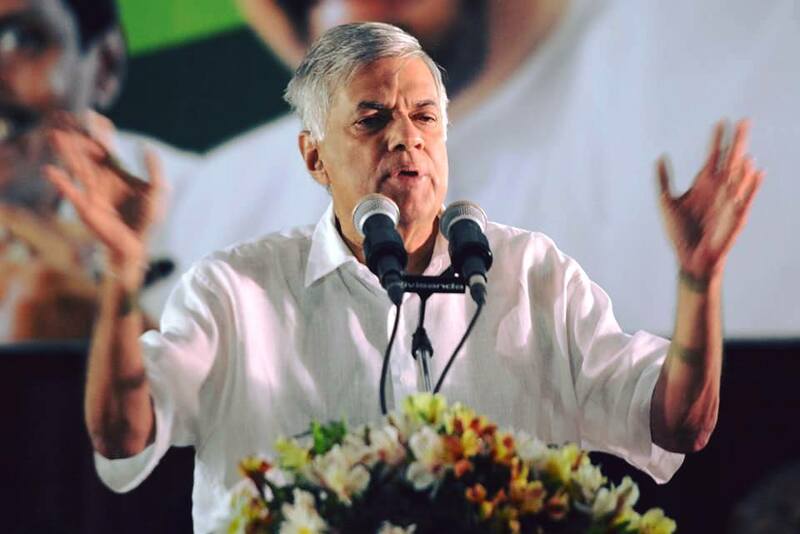 Yet the net result of the strategy conceived and executed by Ranil Wickremesinghe was successful in that he managed to remain the leader of the UNP. But today’s context is different. The UNP is in power. It is more than likely that the common candidate Maithripala Sirisena would not be a common candidate of any coalition that the UNP will be associated with. In such a positive scenario, the announcement of its candidate by the UNP leadership is seen as a usual routine. Unlike past leaders of the UNP, Ranil Wickremesinghe is being perceived by his own rank and file as a doubtful winner. His past performance is not very attractive. His lack of charisma and inability to be a sought-after national speaker in the vernacular is woefully noticeable. The leader of a nationally reputed political party such as the United National Party has had in its storied past some magnificent speakers of the caliber of Dudley Senanayake, JR Jayewardene, R Premadasa, Gamini Dissanayake and Lalith Athulathmudali. Among them R Premadasa can be classified as one of the best ever Sinhala Speakers in Sri Lanka. Only Rohana Wijeweera would match Premadasa as a mob orator. The wherewithal of such oratorical skills is the most demanded product in an election time. People would trek miles to listen to such an orator. Ranil Wickremesinghe could still overcome this deficiency. If only he tries to portray an image of strength, decisiveness and allegiance to truth and facts, by delivering a calm and stern speech, he could avert this decisive disadvantage. If necessary, he might have to recruit another speechwriter whose fidelity to the needs and demands of grassroots elements in the country. Great orators are not born. They are always made. One unique example is R Premadasa. In his speeches, he had gone to the extent of noting in his written speech as to where he had to pause, at the end of which sentence he had to remove his spectacles etc. for the dramatic effect such gestures would entail. Churchill used to practice his speeches in the toilet before a mirror. Speechifying, or for that matter all politics, is drama and theatre. Ranil Wickremesinghe has to adopt the positive aspect of that drama and theatre. Of the two elements of any oration, content and delivery, the average man is moved more by the delivery than the content. When one lacks in delivery, he or she has to make do with the content. Ranil has to be more consistent with the content of his speeches. Continuing on the same lane would eventually take him to a political cul-de-sac and he would have nowhere to turn. If, on the contrary, he opts to adopt a more forward-looking and aggressive posture, I once agin iterate, he has a fighting chance in the coming Presidential Elections. But in the absence of any evidence that he would make such adjustments, both the second tier and the rank and file of the party will keep hoping and praying for ‘anyone but Ranil Wickremesinghe’ choice. Being preoccupied with the next election is no evil; it is not a political sin to organize for the next election, especially in case of a government power. Ranil Wickremesinghe’s generation is waning; in the twenty first century, it’s spending its last lap in life. Two generations have come to the political stage since the 1977 J R-led UNP victory. Those two generations cannot remember JR, Premadasa, Gamini or Lalith. For those two generations, print media is an anachronism; the predominance of the social media has changed life and the direction in which average socio-political dynamic taking them; it’s unpredictable as any other social transformation in human history. A generational thinking, that is as supple and susceptible to the vagaries of social and cultural spectacles such as fundamentalism in religious action and adherence to the fringes of the political spectrum, is waiting in the wings of sustainable change. That is the ultimate challenge facing the UNP leader. Prime Ministerial powers have not been able to allure an intellectually curious and politically probing generation. Waiting until the proverbial ‘eleventh hour’ would only exacerbate an utterly volatile situation. The popular belief that Ranil Wickremesinghe would be anyway contented even if the UNP loses, by being the Leader of the Opposition is a myth; a political party in Opposition is much more prone to divisions and inside fighting so as to challenge its leadership and come aftermath of a potential UNP loss in 2020, the UNP would be disseminated into pieces. That is why Ranil Wickremesinghe should realize, once and for all, that delaying the announcement is a lose-lose option, firstly for Ranil Wickremesinghe and secondly for the United National Party and eventually for the country. He has to make that announcement as an official statement of the Party, not through intermediaries or unacceptable emissaries. If not himself, Sajith, Navin or Karu, let it be announced now. Then his successor has sufficient time to launch and execute a successful campaign. Fundamentals of politics have not changed. Prime among those fundamentals are content and process. Tactics as to how the content is phrased and nuanced could be changed. They need to adjust and adapt themselves to be changed. In the same vein, the process and the need for a solid and fundamentally sound process is a fundamental for a developing society. Whatever the character the process takes, whether it’s authoritarian, democratic or by royal decree, a need for a process does not change. So, what is that content and what is that process by which the content is delivered to the people who ultimately decide in a democratic society? While the structure of a process is being built by the UNP, the ‘leader’ which is an essential and integral part of that content still remains a core issue in the UNP. That burning desire of the people to discover the next leader or deliverer is second only to the desire to come to power as one single unit which is the Party, UNP. Today that content includes among others, Sajith Premadasa and Navin Dissanayake in the lead. The UNP grassroots may be having an inclination towards Sajith on the grounds that he has been more overtly active, especially among the Buddhist clergy in the country. Yet he has not been recognized as a great orator on the one hand, and on the other, his inability to criticize the Rajapaksas and the blatant absence of his rhetoric on nationally urgent issues has contributed to him being considered as ‘not-yet-tested’ category. On the other hand Navin Dissanayake catapulted himself to the leadership ranks thanks mainly to the 65% of the votes he received from amongst Working Committee members of the Party and the immense faith and trust the Party higher-ups had for his father Gamini Dissanayake. Sajith’s father, President Premadasa, died when his popularity was on a downward trend, thanks mainly to the aborted impeachment issue, while Gamini’s demise occurred when he was on his way to the ‘summit’ as the UNP Presidential candidate. That is exactly why I say that, in politics, it’s all context that matters above everything else.